It said Malema's Ratanang Family Trust was an indirect shareholder in On-Point. 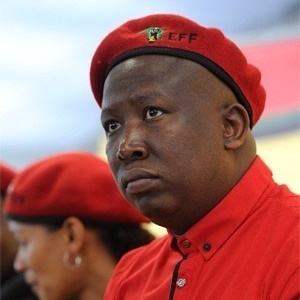 "Even though Malema seems to think he is untouchable, he is definitely not above the law. AfriForum will, therefore, see to it that Malema is called to account. Someone like Malema, who claims to represent the poor people and then plunders the state coffers to enrich himself at the cost of service delivery to poor people, must be exposed for who and what he really is," said Kriel. "AfriForum laid a charge against Malema at the Brooklyn police station in Pretoria on July 24, 2011, in terms of the Prevention and Combating of Corrupt Activities Act, 2004 (Act No. 12 of 2004) in connection with On-Point's corrupt activities." "However, on August 4, 2015, the case against Malema was struck from the roll of the Polokwane High Court after one of Malema's co-accused could not attend the hearing due to illness. "In this contract, it is agreed that On-Point's involvement may not even be disclosed to the National Treasury. AfriForum also obtained an invoice in which On-Point requests compensation of R1.2m from Mpotseng Infrastructure."